Many common foot sports injuries can be treated by a podiatrist. See more information about plantar fascitiis at our website. See our post on baseball what Albert Pujols deals with since his days playing for the St. Louis Cardinals and now with the Los Angeles Angels. A stress fracture is a small crack in a bone. Stress fractures often develop from overuse, such as from high-impact sports like distance running or basketball. Clinical findings include pain over the bone, inability to bear weight, swelling, gross deformity or angulation, partial or complete loss of use or motion. Patients will need an Xrays and sometimes a bone scan to detect a stress fracture. Sesamoiditis is inflammation of the sesamoid bones. In humans it occurs on the bottom of the foot, just behind the large toe. 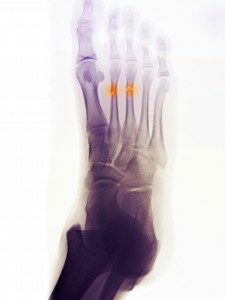 There are normally two sesamoid bones on each foot; sometimes sesamoids can be bipartite, which means they each comprise two separate pieces. The sesamoids are roughly the size of jelly beans. In humans the sesamoid bones act as a fulcrum for the flexor tendons, the tendons which bend the big toe downward. Patient will need RICE and custom orthotics to help with this problem. Compartment syndrome is increased pressure in one or more of the three compartments of the lower leg. This can be caused by exercise and a sudden increase of blood flow. The sheath that covers each muscle compartment will become inflammed and cause tissue compression. The sheath does not allow for expansion of the muscle and pain can occur to the nerves. If pressure is high enough causing intractable pain, pallor (cold), pulselessness, loss of musclar function, or numbness this is considered a medical emergency. 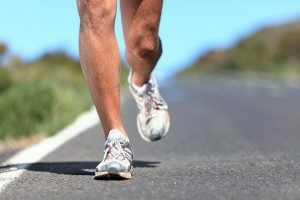 The most common Achilles tendon injuries are Achilles tendinosis and Achilles tendon rupture. 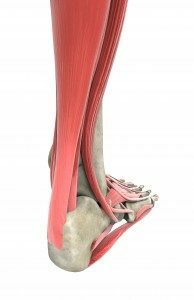 Achilles tendinosis is the soreness or stiffness of the tendon, generally due to overuse. Partial and full Achilles tendon ruptures are most likely to occur in sports requiring sudden eccentric stretching, such as sprinting. The area approximately two inches above the calcaneal attachment is most susceptible to these ruptures due to a zone of avascularity. Another common foot sports injuries is turf toe. 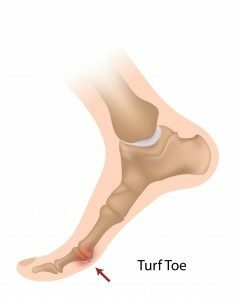 Big toe injuries also called “turf toe,” often result from hyperextension of the big toe joint as the heel is raised off the ground. An external force is placed on the great toe and the soft tissue structures that support the big toe on the top are torn or ruptured. Shin splints are pain to either side of the leg bone, caused by muscle or tendon inflammation (periostitis). 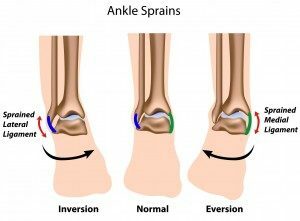 It is commonly related to a collapsing arch, but may be related to a muscle imbalance between opposing muscle groups in the leg. This is usually caused by repetitive running on hard surfaces or forcible use of the foot flexors. RICE, NSAIDs, and orthotics are main treatments. Physical therapy and ice massage after sport activity are also helpful.